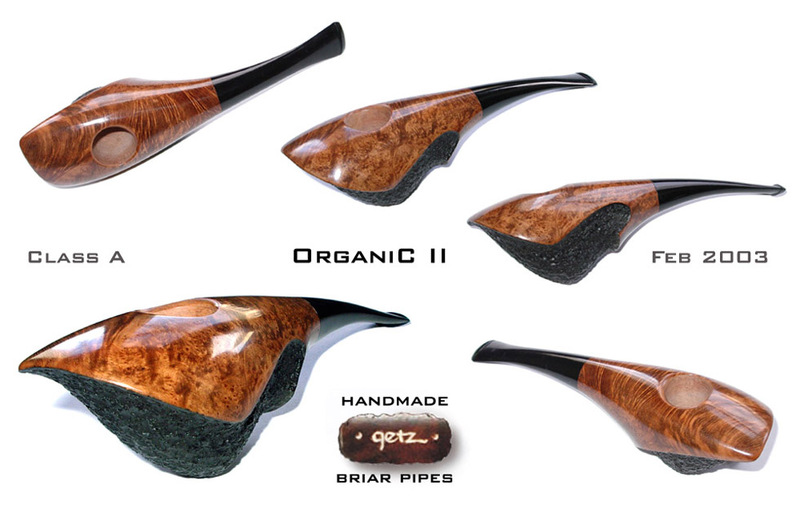 The Bulgarian pipemaker Georgi Todorov became well known all over the world not only for the quality of his pipes but also when it comes to design he surely belongs among the celebrities with an ascending significance. He is one of the pipemakers that have an artistic education which means also a highly precise artistic sense. Georgi not only graduated in industrial arts but also the National academy of arts in Sofia where he graduated in 1995. He knows the Czech Republic from a several year long stay when he used to work in the tourism industry and here he also started with pipemaking which he has been doing professionally since 1999. His artistic education also enables him to artistically process metal (especially silver) and other materials working them into beautiful jewelry and thanks to his wife who is an architect and helps in many ways, this is also an area very close to him. In any case you can feel here a very precious approach of an artist who presents his own addition on the theme of well known shapes, like we know it from the works of Michael Parks (blowfish), or Kenta Rasmussena (Nordh's ballerina). 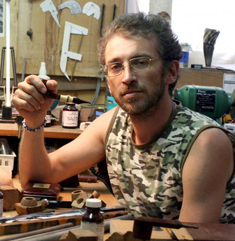 Considering his artistic education and skills it is quite obvious that he also makes designer tampers and uses all kinds of materials or makes custom tampers for a particular pipe. 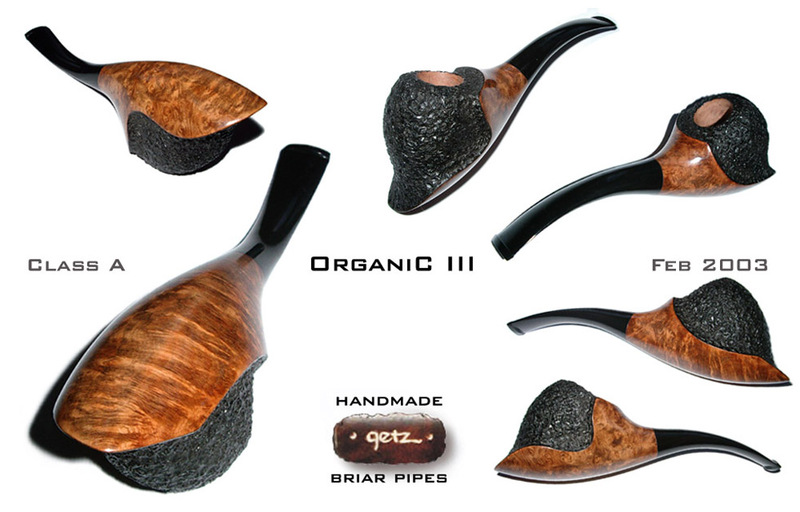 He is part of the younger generation of pipemakers with a unique approach towards the pipe design, so if he manages to stay within the profession of a pipemaker we can certainly expect many more of his unique shapes.